Matt Manning Chef - WE'RE HIRING! We’re looking for talented, hard-working and passionate chefs & restaurateurs to work in a newly-established 38 seater restaurant located in the heart of Cape Town’s epicurean capital, Bree street. While we can’t reveal too much just yet, I can tell you that we’ll be cooking damn good, unpretentious GRUB from a small, seasonal menu with some proper vino to match. – We’re looking for presentable, friendly and efficient waiters with experience in upmarket restaurants, and good knowledge of food & wine. 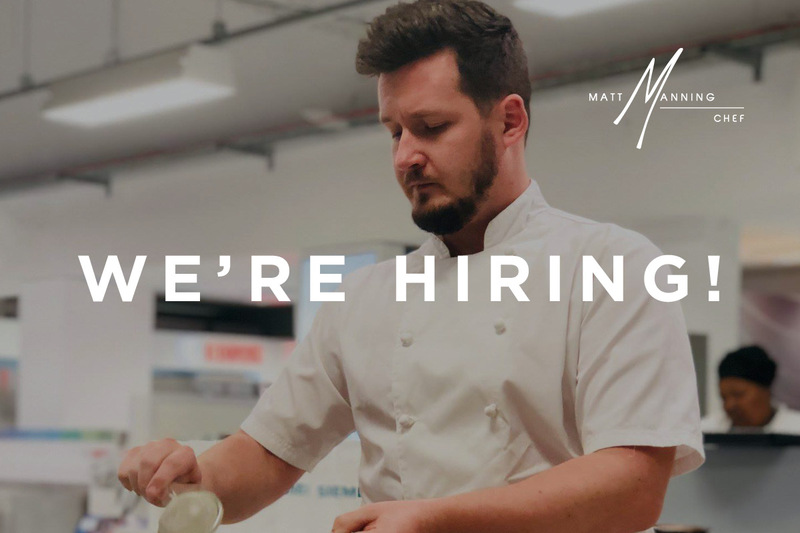 To apply, make sure you meet the above requirements and send your CV together with a cover letter explaining what position you’re applying for and why you’re the perfect fit for the role, to: info@mattmanningchef.com.